NEW! The 2019 meeting will be a full three days, allowing maximum learning opportunities! Complimentary Networking Event on Jan.28-Registration is required. RSVP. DIA's Pharmacovigilance and Risk Management Strategies Conference provides the strongest context, background, updates, new developments, and future direction for regulations and guidance on safety, pharmacovigilance, and risk management strategies that cannot be found in any other meeting. 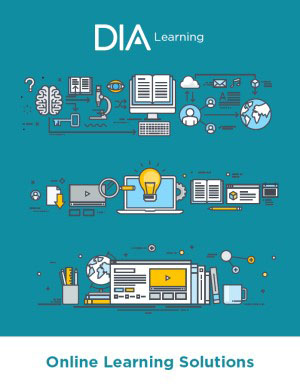 The content of this event is developed by top experts from the biopharmaceutical industry and global regulatory agencies, and DIA will convene the best speakers from around the world to discuss the current challenges and issues that matter most to professionals working in the field. This conference will give you the foundation for strong strategic planning and practical decision-making in your pharmacovigilance programs, rather than the cookbook approaches often presented elsewhere. In addition to new developments and updates on regional regulations and guidelines, regulators from the US, EU, and other global regions provide the context and thinking behind evolving requirements. This year, regulators and industry experts will take an in-depth look at global harmonization of ICH E19, addressing optimization of safety data collection. Insights and forward-thinking approaches to pharmacovigilance and risk management to ensure the safety of existing as well as advanced new therapies as these enter development and the post-market setting will be discussed. Projects applying cutting edge technologies like machine learning/artificial intelligence to manage large volumes of potential safety data will be examined. Don't miss this opportunity to interact and converse in an open forum, with regulators and top subject matter experts, on the issues that keep you up at night and serve as roadblocks in your daily job. Check out our infographic with detailed information on the top reasons why you can't miss this conference, along with highlighted sessions and hot topics to be discussed. Since the initial release of GVP Module IX - Signal Management, pharmacovigilance organizations have gained a considerable amount of experience. The EMA has released Module 9 R2, which incorporates the key learnings to date. This webinar will explore notable changes, advances in signal management, and how organizations are adapting to meet new guidelines. Download our recently released resource guide on pharmacovigilance and risk management to get a better understanding of what's happening in the field and why this conference is a can't-miss event.